As An Author How Do You Know What To Do With Criticism? Are you just about sick of hearing that? How many rejections, critiques, or pieces of group criticism begin or end with that remark? And while perhaps meant to temper the above, we all know it’s a plot (sort of as we use in the South, “Bless her heart,” after trashing the bejeebus out of some character quirk). Any creative endeavor, however, and especially writing, where you’re often relegated to one person’s opinion at a time, is very subjective. So, how do you know when to take the criticism, and when to reject it? Because what you do with the words from the book editor, literary agent, contest judge, or critique group most assuredly predicts your success. Whether beginner or seasoned pro, we all need outside eyes. Many of my writers, upon receiving rejections ask, “Is it the market, or is it my book?” The answer to that is of vital importance to your writing career, so let’s sift through, separating the wheat from the chaff. Especially when first starting out, the critique from a writer’s group can seem very harsh. Sometimes the criticism may indeed be self-serving, being more about the person giving it than the work itself. But often, the folks who have been around the block a time or two want to help new writers along the path. The trick is to keep in mind the personalities involved, then weigh the validity of the comments. And listen to it all. Yes, you may dig through a ton of BS before finding a jewel, but that very gem may be the thing that pushes you over some creative hump. In the beginning, all of the skills and tools involved in book writing may seem overwhelming, but by listening to such critique, these skills become more accessible. As you progress down the writing path, critique serves as a sounding board, letting your know that indeed, you are on track. Or not, and need to go back to the drawing board. The same holds true for a judge’s evaluation through a contest or conference. Usually the evaluator is a seasoned pro (a novel editor, etc. ), and can identify strengths and weaknesses in a flash. I will say that I’ve judged a lot of conference contests, and some of the evaluators don’t give a piece five minutes. But most do. And before your ego reacts, try to stay objective to the subjective point of view, and look at the criticism from arm’s length. Does the person have a point? Is the writing flat? Are the characters thin? If you were reading your work from the standpoint of outside eyes, would you feel the same? Even after you’ve become agented, you’ll get that ‘no’ from publishing-house editors. And taken one step further, once you’re published, some awful book review editor may slam you. The nerve! Again, these run the gamut, but hopefully they’ll respond more in-depth (just one reason why having a good agent is important). As you sift through, does a pattern surface? Are many saying they loved x but were put off by y? Perhaps loved the prose, the voice, but the problems lay in the basic book development? If so, you’re getting there. Those problems are fixable, and doing so may be your ticket to success. If not, you may be facing something as simple (yet difficult) of not yet targeting the right house or agent with your work. Again, listen to it all. I can’t say that enough. Much more worrisome than keeping your ego intact is to miss something that may be key to your book or story selling. In today’s insanely tough market, a work has to be more than perfect to sell; it has to shine above all the rest in order to make an editor fall in love. Remember, the editor who does so still has to convince both the editorial board and the sales’ reps of the book’s brilliance. Never has traditional publishing been more difficult. Never has it meant more as per prestige. Which brings us to the crux. Creativity really is subjective, and in those murky waters lives the only true demon—the ego troll. Nothing is closer to our core than the stories we write. We’re not selling bread dough here; we’re selling work from our very souls. This leaves us so vulnerable that the ego naturally jumps up to provide at least some protection, and in doing so can undermine the very essence of what we’re doing. 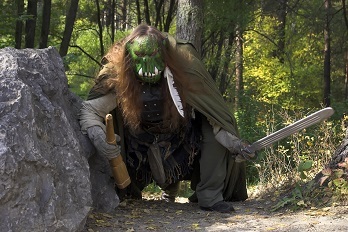 Getting that troll out of the way so that you can be objective can be the true beast. But you must do it. I’ve worked with just about every kind of book author. And I’ve seen very talented writers fail because they believed their work was so pristine, so perfect, it needed no editing or revision. I’ve seen semi-talented (and you have to have some talent, but the rest is about skills and those can be learned) writers succeed because they were willing to set aside their egos, dig back in, learn from the critique and their mistakes, and write better. The best way to deal with the ego troll is to look it in the face. Is your writing perfect? No. If honest, we all must answer that way. Can it improve? Of course. Does x agent or y editor or z critique group know anything? Hopefully. If not, why did you submit, join, etc.? It all comes back to you in the end. And even if you decide he/she/they were idiots (which surely they were! :), as the old cliché goes (don’t let my writers know I’m using one! ), even a blind hog finds an acorn now and then. Put your ego on the shelf for an hour and look at your work as if it belonged to someone else. The validity of any critique (or lack thereof) will shine through. And some always exists, even in the most pedantic response. Your job is to find the subjective pearls, through your objective mind, and put those into practice. Sooner or later, that obnoxious phrase with which we began this will not come. Filed Under: Psychology of Writing Tagged With: Can my novel be better? Hey Susan, Wow if I don’s get it after that I’ll never get it. Oh, good for you! That’s the whole point of this–polish, polish, polish. Then get it out again. Sending you a ton of good luck as you go! amen, amen..you are hitting every thing on the head..but it’s honest and what us writers need to hear..that’s what i like about you susan, you are honest and really care about your writers..back to the digging i go..stay blessed and keep the knowledge coming..people listen cause she know what she is talking about.. Thanks for writing this, Susan. A terrific article conveying what anyone in a creative field goes through. We wish a better way existed, no? But developing a thick skin and marching confidently in the direction of our dreams, as Thoreau said, is the ticket. You’ll get there, Randy! Susan, you must be reading my in-box. Once again you’ve summed up in a few paragraphs what it took me a while to learn. Your point about identifying trends in agent feedback is a valuable tool in helping to improve writing skills. I found a few agents willing to help identify both strengths and areas for improvement. I enjoy a pat on the back but I also know I need to improve. You are getting to the heart of the matter, Ed! Some critique is useful, and some not. The thing with agent feedback is to notice if there are any trends. That’s what you then take a hard look at! Good for you, Karen! Your attitude about this is right on. So often writers don’t ever grow that “thick skin,” and their work suffers tremendously. And you hit another point right on the head: As writers, often scenes are clear as glass, in our own heads, but don’t translate to the page. That’s where a great editor comes in! You’re doing all the good! How do I find beta readers or a critique group? This is great, from one write to another! I get some feedback, then I don’t. It seems I can refine constantly. There is always a way to refine, polish, refine some more! And always remember that! You get better with practice and that go- getter attitude! Absolutely, Asenath! That’s the name of the game! I’ve learned by working with you, Susan, that there are non-self-destructive ways of dealing with the slings and arrows that come at you when you allow someone into your soul. The question for me is red or white. 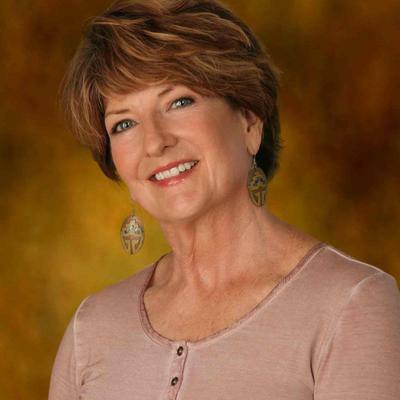 Susan Mary Malone recently posted…As An Author How Do You Know What To Do With Criticism? My first novel had two cops, partners, male and female, and zero romantic stuff. “But romance is what readers expect,” said the first critic. I enjoy defying reader expectations. But I kept hearing those critics, and I didn’t want to write romance, so I gave the guy AIDS. Best thing that ever happened to that novel. Thank you, critics. See, you can use everything–even bad critique!